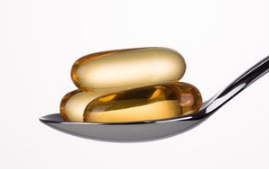 I have teaching my Nutrition clients for 20 years to NOT TAKE FISH OILS, or any other oil in supplement form. Fats and oils that are not in their original packaging (nuts, fish, avocado, seeds, etc.) are rancid. They are rancid as soon as they are exposed to oxygen. They are oxidized, and that renders them carcinogenic. There is no reason to ever take oils as supplements, it is easy to come by these nutrients by eating seafood, avocadoes, butter, etc. Ingesting fish oils do not protect you from heart disease. A balanced diet that meets your nutrient needs does that. Along with exercise. Nitrate-cured meats – things like beef jerky or bacon – have been linked to extensive periods of hyperactivity, insomnia, and attention loss in people experiencing manic episodes. “We looked at a number of different dietary exposures and cured meat really stood out,” says the study’s lead author Robert Yolken. The exact mechanism behind the link isn’t yet clear, but a follow-up experiment on rats fed jerky with their plain old rat chow resulted in increased movement and altered signalling in their hippocampus. Changes were also noted in the rats’ gut microflora, hinting at a possible stepping stone between the nitrates in the meat and effects on their nervous system. Surprisingly little is known about the condition’s causes. There are strong hints of a genetic predisposition, though as with most neurological conditions there’s a lot more going on than a wonky gene or two. Those in the mania category had an unusually high number of patients who’d consumed processed meats. “Future work on this association could lead to dietary interventions to help reduce the risk of manic episodes in those who have bipolar disorder or who are otherwise vulnerable to mania,” says Yolken. But in this case it’s the nitrogen compounds’ influence on bacteria in our gut that could end up being the culprit. And this isn’t the first time nitrates in processed meats have been found to affect our health via our personal microbes. Our brains and the bacteria in our guts have a complicated relationship, one we’re still learning more about as we find connections between our bugs and our emotional state, the development of Parkinson’s disease, and even risk of strokes. So, it wouldn’t be a total shocker if further research confirms manic symptoms in bipolar can be exacerbated or even caused by certain microflora reacting to nitrates in our meats. Omega-3s from Fish More Effective in Cancer Prevention- NOT Supplements! I have never advised my clients to take any oil based supplements as they are very rancid by the time they are processed. Which renders them carcinogenic. And they lack enzymes that you get when eating whole food. Toronto, Jan 27 (IANS) When it comes to cancer prevention, Omega-3 fatty acids from fish pack a stronger punch than flaxseed and other oils, new research has found.Marine-based omega-3s are eight times more effective at inhibiting tumor development and growth than plant-based sources, said the study published in the Journal of Nutritional Biochemistry. “This study is the first to compare the cancer-fighting potency of plant-versus marine-derived Omega-3s on breast tumor development,” said David Ma, Professor at University of Guelph in Ontario.”There is evidence that both Omega-3s from plants and marine sources are protective against cancer and we wanted to determine which form is more effective,” Ma said. What Is Ghee and Why Is It a Staple of Indian Health Care? Much like coconut oil and bone broth, ghee is a multi-hyphenate: think cooking BFF, snack o’dreams (Kourtney Kardashian reportedly eats it by the spoonful), and skin transformer. This centuries-old Ayurvedic staple is also a digestive powerhouse. “Ghee is rich in butyric acid, a short chain fatty acid that promotes a positive immune response within the body, to support healing of inflammation and optimal digestion,” Natural Food Chef Danielle Shine told Observer. Which is all to say, that ghee is a “good” fat. And when fats are good, they are absorbed quickly in the body, making them a potent source of energy. But how’s it made? Isn’t it just butter? Ghee is cow’s milk butter transformed into a fat source by removing its water and milk proteins through a process of boiling, skimming and straining. Apart from being cited as a digestive cure-all, it’s also been touted as a salve for a plethora of emotional ailments. In the Ayurvedic community, ghee’s golden hues are considered as balancing to the body. In fact, the Susruta Samhita, a Sanskrit text on medicine and surgery, claims ghee is the remedy of remedies for problems stemming from the pitta dosha, namely chronic-disease inducing inflammation. Fourth & Heart founder Raquel Tavares Gunsagar who’s dived into the making of artisanal gourmet flavored ghee—like white truffle salt, California garlic, and Madagascar vanilla bean—is at the forefront of the U.S ghee explosion. ”Ghee is an ancient butter gone modern. It’s like the, ‘where have you been all my life?’ of not only Indian healthcare but truly all of our healthcare. In fact, I’d say ghee is now being reinvented here in the U.S.,” she told Observer. From a cooking standpoint, its low smoke point is significant. Scientists have long warned against the dangers of cooking with vegetable oils that release toxic cancer-causing chemicals. In numerous studies including a 2010 one on the Elevated Levels of Volatile Organic Carcinogen and Toxicant Biomarkers in Chinese Women Who Regularly Cook at Home, it was found that when an oil exceeded its smoke point, the number of toxic fumes increased significantly. What’s more, ghee makes a case as a potent salve for massages, aches, and sprains according to the 5,000-year-old wellness tradition that is Ayurveda. Try using ghee to massage the feet to improve circulation, memory and emotional wellbeing. “Its high concentration of vitamins A, E, as well as carotenoids—antioxidants that boost the immune system and help to neutralize free radicals, will help skin heal too,” says Shine. The takeaway? Get experimenting! Stir its unctuousness into winter’s beautiful vegetable bounty, press it with buttery fingers into mashed avocado, or use a spoonful in your bulletproof coffee instead of coconut oil. And if you’re feeling daring, get au fait with Indian cuisine and see how it compliments the country’s most revered dish, dal. Kayla Jacobs is a British New York City-based freelance writer who has previously written for Vogue, Tatler, Glamour, Refinery29, Conde Nast Traveller, The New York Times, Mindbodygreen, VF Agenda and Live The Process, among others. Follow her olfactory obsessed adventures on Instagram @kaylasthread. Nonsteroidal anti-inflammatory drugs (NSAIDs) like ibuprofen and naproxen are widely used to treat pain and don’t require a prescription. But recent studies suggest that when taken regularly, these medicines can have serious side effects. They’ve been linked to kidney, bone, hearing and cardiovascular problems—including, most recently, an increased risk of heart attack. For healthy people with occasional aches, there’s nothing wrong with taking an Advil or an Aleve to relieve discomfort, says Dr. Jyotsna Nagda, a pain specialist at Beth Israel Deaconess Medical Center. But “long-term use of anti-inflammatories is not a good idea,” she says, especially when alternatives are available. Plus, says Alban Latremoliere, a pain physiologist at Boston Children’s Hospital, NSAIDs don’t always work well—which could prompt people to take higher and higher doses when they should be turning to other treatments. “Instead of looking for a pill that works for every type of pain, we need to be thinking about combination approaches that treat the underlying problems,” he says. If you’re concerned about the level of pain medicine you’re taking, here are a few things you might try instead. Unlike ibuprofen, over-the-counter acetaminophen has not been linked to heart problems. Nagda recommends it to some of her patients—especially elderly ones—who aren’t good candidates for anti-inflammatory medicines. Aspirin is another option. While it is an NSAID, studies of regular aspirin use suggest a protective cardiovascular effect, rather than increased risks. (It can, however, cause stomach bleeding and ulcers.) “If someone has regular pain and they’re planning on doing something more strenuous than normal, I might tell them to take an extra-strength aspirin beforehand,” says Nagda. For arthritis and related conditions, studies show that omega-3 fatty acids—found in fish, fish oil supplements, nuts and seeds—may help reduce pain and inflammation. 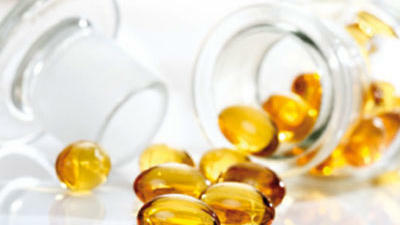 The Arthritis Foundation recommends taking fish oil capsules with at least 30% omega-3s. Latremoliere says that following a diet rich in fish, fruits, vegetables and whole grains may also ease pain throughout the body, although it won’t likely take the place of pain medicines entirely. “If you make a habit of avoiding foods that promote inflammation and eating foods that help reduce it, it can definitely be helpful,” he says. Despite a recent review that called into question the benefits of curcumin—the active compound in turmeric—Nagda says that people seeking pain relief may still want to try adding the yellow spice to their diet. “It has anti-inflammatory properties, and there are some small studies that show benefits for patients with rheumatoid and other forms of arthritis,” she says. It’s safe in quantities used in cooking and flavoring food, so as long as you don’t mind the taste, there’s little downside. While acupuncture’s cost can be prohibitive for many pain sufferers, it is increasingly covered by health insurance—at least in part—as its benefits become clearer. Massage is another approach that’s been shown to to relieve chronic lower back pain. Regular exercise is a good way to ward off chronic pain and to reduce symptoms if it does develop. But certain types of movement may be more beneficial than others. Tai chi has been shown to benefit people with fibromyalgia, for example, and yoga may help with back pain and arthritis. “Even if these techniques don’t necessarily decrease pain, they may help people cope with it better,” says Nagda. Nagda also recommends swimming to many of her pain patients, as a way to stay active and flexible without stressing their joints. And for injuries, she stresses the value of using heat and ice and seeing a physical therapist, rather than masking pain with a pill. In one 2016 study, people who practiced seated meditation for 20 minutes a day had less reaction to a painful stimulus than those who sat and read a book. The research didn’t include people with chronic pain, but the authors say meditation could have potential as an alternative to painkillers like opioid drugs. Other research has shown that mindfulness can reduce a person’s experience of physical pain (and emotional pain, too). Latremoliere’s own research in mice, published recently in Nature Medicine, has shown that chronic sleep deprivation can enhance pain sensitivity—and that a dose of caffeine can temporarily reverse those effects. Studies in humans have also suggested that staying awake for long periods of time can lower people’s thresholds for pain, and that the equivalent of a few cups of coffee before a workout can reduce perceived muscle pain. High fructose corn syrup is a killer. Since humans started consuming it, obesity rates have more than tripled and diabetes incidence has increased more than seven fold since. Even when used in moderation it is a major cause of heart disease, obesity, cancer, dementia, liver failure, tooth decay, and more. That’s right, high fructose corn syrup now goes by a new, deceitful name – “Natural Sweetener” – designed to trick customers into making ill-informed choices that will impact on their health. Consumers are finally catching on to the fact that what we put in our mouths effects our waistline as well as our health. Since consumers have become much smarter and finally waking up to these realities, they are demanding healthier food choices. Every food company is smearing 100% natural on every box of anything regardless of whats inside the box. Now we have to know the new sneaky name to know whether or not we are consuming High Fructose Corn Syrup or not. Obviously the best way to avoid this mess is to buy from companies you really trust. Big food companies are hiding ingredients they know we really don’t want to consume in their products. This time it’s the presence of a new version of high fructose corn syrup. But this is not the innocuous fructose that has sweetened the fruits humans have eaten since time began. This is a questionable ingredient with many names that could be causing all sorts of health problems.